The Hanahan slip and fall attorneys at Anderson & Schuster, Attorneys at Law, LLC know how painful, expensive and destructive slip and fall accident injuries can be. If you have been hurt in a slip and fall accident in the Hanahan area, give our Hanahan slip and fall attorneys a call today. We can help get you the compensation you deserve for your Hanahan slip and fall accident injuries. Contact our Slip and Fall Attorneys now. 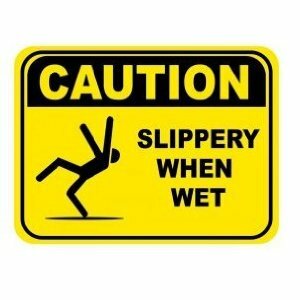 Slip and all accident liability generally falls on the party responsible for the location where the accident occurred, sometimes called premises liability. For example, a customer who slips on a spill or trips on an object while shopping in a grocery store may be able to hold the grocery store owners liable for his or her injuries by showing that the owners failed to act reasonably in maintaining the safety of the premises. Our Hanahan slip and fall attorneys can investigate your slip and fall accident, determine liability, and help you recover for your Hanahan slip and fall injuries. If you or a loved one has been injured on another person’s property, the Hanahan slip and fall lawyers at Anderson & Schuster, Attorneys at Law, LLC can help. Let our injury lawyers get to work on your Hanahan slip and fall case today. If you have been injured in a Hanahan slip and fall accident, you likely have medical bills, may be unable to work due to your injuries and need the money a fair settlement can provide. Insurance and claim adjusters can be difficult to deal with and will try to settle with you for less than your claim is worth. Our Hanahan slip and fall attorneys will work to get you compensated for your slip and fall accident injuries. Contact our Attorneys.